Born on September 10th, 1958 in a farmer's family, Dr. Chauhan completed his Bachelors (80.3%) with honours, Master (85.8%) and Doctoral degree (90.0%) in Veterinary Sciences with specialization in veterinary pathology from G.B. Pant University of Agric. & Tech., Pantnagar. 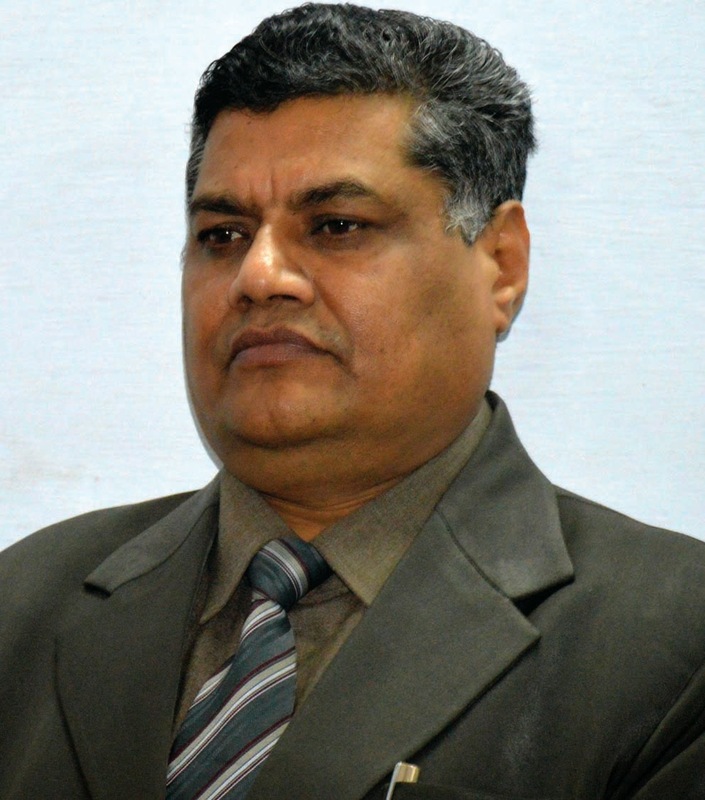 He served the country in various capacities including Assistant Professor/Assistant Disease Investigation Officer (1983-96), Associate Professor (1996-1999), National Fellow (1999-2004) and Joint Director (CADRAD), IVRI, Izatnagar(2004-2009), Director & Vice-Chancellor(Acting 2009), IVRI Indian Council of Agricultural Research and Campus Director, Institute of Biotechnology, Patwadangar (Nainital), Uttarakhand (2009-2013). During his tenure as academician and scientist, he has written 90 books including 40 books, 33 manuals and 1 monograph; most of them are very popular among the students world over. He contributed 87 chapters in different books and published 203 research and 24 review papers in various National and International journals of repute. Besides, he participated in 16 International and 57 National Conferences/ Symposia/ Seminars and presented 163 papers at different occasions. He also popularizes the scientific research among the common man by publishing 341 semi-technical articles in various magazines, newspapers and other print media including 19 pamphlets. He educated the scientists, Veterinary Officers, Para Veterinary Staff, farmers, butchers and delivered technical expert lectures in 139 training programmes. Besides, Dr. Chauhan has been invited by All India Radio and Television Network people at 27 occasions to broadcast/telecast his expert talk to the common people. He is life member of 15 scientific bodies societies/associations and has been in several executive committee such as Chairman, Panch Gavya Professionals’ Club; President, Cow Therapy Society; Secretary-General, Society for Immunology and Immunopathology; Vice President, Indian Society of Veterinary Educators; Zonal Secretary, Indian Association of Veterinary Pathologists and Joint Secretary, Indian Virology Society, President, Dr. J.L. Vegad Foundation, Expert Member Research Group, Committee for Certification of Pathologists, Vice-President, IAVP; Registrar, ICVP, etc. Based on his contributions and scientific achievements, he has been awarded with several prizes, medals and honours including Best Young Scientist Award (1992), IAAVR Award (1996), National Fellow Award (1999), Fellow NAVS (2000), Fellow SIIP (2001), K.S. Nair Memorial Award (1999), Vigyan Bharti Award (2000), Dr. C.M. Singh Trust Award (2002), Dr. Rajendra Prasad Award (2002), Shri Ramlal Agrawal National Award (2000), Best Paper Award SIIP (2003), Best Paper Award IAVA (2001, 2002, 2003), Best Teacher Award (2004) by GB Pant University, Pantnagar, Fellow, IAVP (2006), Gopal gaurav, Bharat Excellence Award (2007), Diplomat, ICVP (2008), Best Veterinary Scientist Award (2008), Moropant Pingle Go Sewa National Award(2014) etc. in recognition of his research and teaching endeavor. He has been inducted in many national and international scientific/advisory committees and boards including Member, WHO/IPCS Committee on Environmental Health Criteria; Member, Hindi Advisory Committee, Ministry of Science and Technology, Govt. of India; Chairman, IAVP Committee on revision of Veterinary pathology Courses; Member, Central Management Committee, All India Institute of Medical Sciences; Chairman, Cow Therapy Research Group; Chairman, Panch Gavya Professionals’ Club, Member, Board of Management, IVRI; Member Executive Council, IVRI; Chairman, Technical Selection Committee, IVRI, etc. He has been in the selection committees as Chairman/ Member, Agricultural Scientists Recruitment Board; Central Universities and State Agricultural Universities. He is Technical Expert and Reviewer in CAB International and several national and international journals. During his service, Dr. Chauhan added many new things in the science. He has reported many new disease entities for the first time including Enterotoxaemia in camels, Pyometra in camels, ETEC infection in camels, isolated camel pox virus in India , developed rapid diagnostic test (DIA). He reported role of cell mediated immunity in rotavirus infection in calves. His pioneer work includes immunopathological disorders in animals due to pesticides and heavy metals, pesticide induced immunodeficiency, autoimmunity and allergic reactions. He developed and scientifically validated two herbal formulations “Immuplus” and “Immuraksha” which are very widely used in treatment and control of infections in animals and birds. Dr. Chauhan developed a new method using MTT dye for detection of cell mediated immune response in animals and poultry. He has done pioneer work on pesticide induced apoptosis in avian lymphocytes and scientifically validating the Panchgavya Ayurvedic medicines and named it as “Cowpathy”. Dr. Chauhan organized several conferences and symposia including II IAAVR Conference, II SIIP Convention and National Symposium on “Immunomodulation in Health and Disease”, Brain Storming Session on “TB, JD and STDs in bovines”, International IAVP Conference at IVRI, Izatnagar and Vth “Society for Immunology and Immunopathology” Convention at Institute of Biotechnology, Patwadangar (Nainital). He has been main instrumental in organizing the training course to Young Scientists on Immunopathology (1998), Dot Immunobinding Assay (2001), Cell Stress and Apoptosis (2001), Advances in Fish Culture and Fisheries (2004), Molecular Diagnostic Techniques (2004), ISO Certification of Veterinary Diagnostic Laboratories (2005), Disease Diagnostic Techniques (2005), Histopathology as an aid in diagnosis: Techniques and Interpretation (2006), Art of Disease Investigation (2006, 2007, 2008), and more than 40 short term trainings at IBT Patwadangar(2009-2013) etc. He has been the principle investigator of 25 research projects worth millions of Rupees and Co-Principal Investigator in 2 research projects funded by GB Pant University; Department of Science and Technology, Govt. of India; Indian Council of Agricultural Research, UP Council of Agricultural Research, M/s Indian Herbs Research and Supply Company, Department of Animal Husbandry and Dairying (Govt. of India), Indian Veterinary Research Institute, Govt. of Uttarakhand etc.